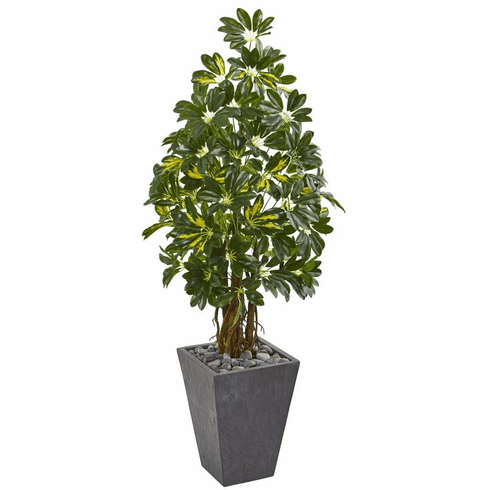 You'll never have to worry about constant pruning and watering with this 57” schefflera artificial tree. 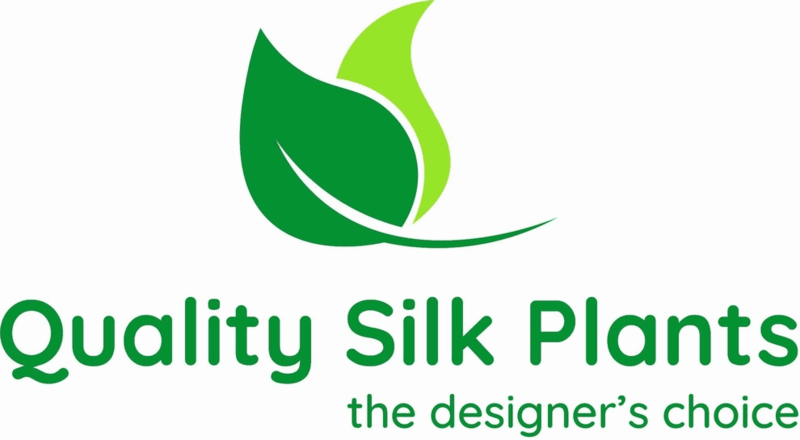 It features a lush head of yellow-accented green leaves that sprout out from multiple brown trunks. Snugly nestled in a minimalist gray slate planter, this 57-inch artificial tree will make an elegant statement in your home when positioned in your upstairs foyer or hallway. To complete the overall look, natural river rocks are included. Height: 57 In., Width: 24 In., Depth: 24 In., Color: , Pot Size: H: 16 In. W: 12 In. D: 12 In.